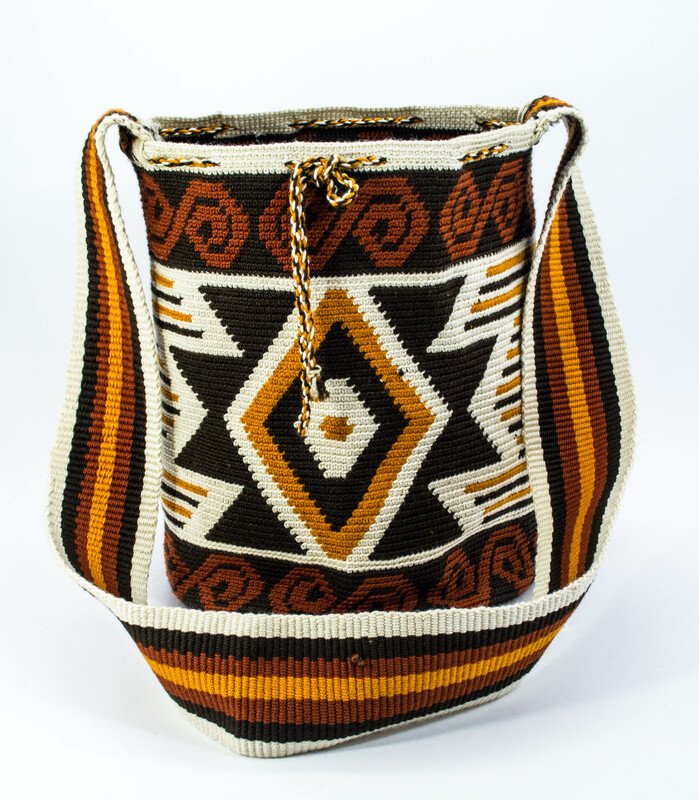 Guambiana Caucan Mochila traditional style, handmade with wool by Misak woman, only natural dye is applied. Height 32 cm x 30 wide. Design of Misak People cosmovision. View large picture.